We’re all "so busy” but have you stopped to consider that YOU can manage your busyness more effectively? I’ve reflected on the word “busy” over the last two years and I am very sensitive about its use now. The pace of work and life has increased – there’s no doubt about that – but it doesn’t mean we need to do more and more to keep up. In fact, we need to do the opposite and look at how we can simplify things. - was going to work early and staying until very late at night. Not smart and not sustainable. - going to the gym during the working day. A much healthier perspective, right? Which do you relate to? It dawned on me that the “busy” picture being painted in my head was totally different to that in someone else’s head! 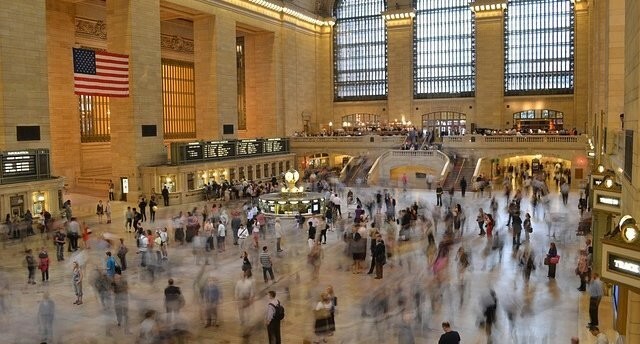 To the outside world, you can be busy, but what does that mean in practical terms? Someone may have their fill of “busyness” because it’s 5.30pm whilst you plug away until midnight. I don’t use the word “busy” anymore as it adopts the meaning someone else applies to it and it makes me feel super anxious as I picture myself darting around like a blue-arsed fly! As humans, we don’t have the capacity to operate like next generation artificial intelligence that is quickly heading our way. We have natural limits that affect our ability to be productive and we will break down if we push too hard, for too long. Everyone has his or her own threshold and bandwidth isn’t standardised across us mere mortals. Instead, we should focus on achieving in a more effective way. Getting the right things done in the time available and doing things in a quality manner. The first one is pushed onto you from the outside whilst the latter is within your control. Take a minute to reflect – which factor resonates with you the most? It could even be both, as one is often a symptom of the other. Too much work means that the mind and body don’t have adequate time to recover, so you become increasingly worn out as you reach or exceed your capacity. You definitely won’t be as sharp or productive as you would be if you have regular breaks. Keep going at this rate and you’ll use up your energy reserves to a point that can lead to burn out. Work out why you have too much work and then do something about it. Do you have a problem saying no or pushing back when your workload is overflowing? Perhaps you don’t want to disappoint and you’re striving to meet unrealistic expectations set by yourself or imposed on you by others. Are you a perfectionist who sweats the small stuff way too much? Are you unsure what the next step is, which means you’re left in a place of procrastination and overwhelm whilst work keeps piling up? I remember hearing about one CEO telling his staff that the company would never stop asking for more and more. It’s then your responsibility to draw the line and put your hand up when you’re at capacity. This was eye-opening. Being given permission to say no. And it makes sense too. Why on earth would you expect your manager to be across literally everything you are working on, the requests you have coming in from other areas, the challenges you are having, the issues that are arising? As much as we expect them to, line managers simply don’t have the headspace to remember or know the intricacies of your to-do list. They’re too busy getting through their own tasks. Unless you tell them. Explicitly. It's up to you to speak up when your plate is full. Remember that busyness is interpreted differently by different people. Your bosses actually WANT you to tell them when you’re at capacity. It gives them a chance to recalibrate and prioritise the work that is going to generate the greatest returns. And how do you know when you’re at capacity? A good trick I heard recently is to consider your life outside the office. If you start to see your friends and family as “things getting in the way of work”, you know you need to stop, draw a line and figure out what is important to you. between work and non-work in our pursuit of this vision! I explore this further in my Mind Your Own Busyness Workshop but, hopefully, this gets you thinking a bit more carefully about what you are doing and why you do it. Uh oh….there’s no way you’re the cause of your busyness, right? Is the problem, in fact, that you aren’t using your time wisely at work? Are you taking longer than expected to get through tasks, perhaps because you are a perfectionist? Is it a struggle to prioritise, perhaps because you are overwhelmed with the sheer volume of work sitting with you? Are you channelling your energy towards activities that give you a poor return? Are you bored and distracted, or do you have no sense of purpose? Are you spending too long not actually working when at work – perhaps extra long lunch breaks, browsing the web, gossiping or complaining? Counterintuitively, you often need a break to re-energise and figure out what is important. You may also need to explore why your productivity is lower than that of others around you - then focus on adjusting the way you operate. If you spend a large chunk of your working day in pointless meetings, dealing with mediocre issues, putting off big deliverables until the deadline is looming, or wasting time on “let’s complain about everything that is wrong with this place” conversations with energy-draining colleagues, then STOP! Start with why you are too busy (be honest with yourself) and focus on solving that, one step at a time. It really is your responsibility to manage your busyness, look at what you can change in the way you work and how you can communicate your workload to others. Once you do this, you’ll realise just how much control you have over your time and you’ll introduce more balance into your life. Good luck and let me know what you discover as you become more conscious about your approach to busyness. No excuses - start making a change this week. If this resonates with you, get in touch and let's explore how you can boost your performance (and happiness!) at work. In the “Mind Your Own Busyness" workshop, learn how to be more productive by using business tools, strategies and frameworks for communication, meetings and self-management. Abigail Ireland is an executive performance and productivity consultant with a background in banking, strategy, business management and entrepreneurship. She is also a qualified personal trainer, Pilates instructor and nutrition coach. Abigail takes a unique 360-degree approach to high performance, drawing on her business and wellbeing expertise to deliver targeted services for her clients. She explores business, physical, mental and emotional drivers of performance. For more information on Abigail’s consulting, training and coaching services, get in touch at abi@abigailireland.com.